Part of our matching Red Rose publicity materials, the Red Rose Flyer is a full bleed, full color, custom flyer template with a red rose background. 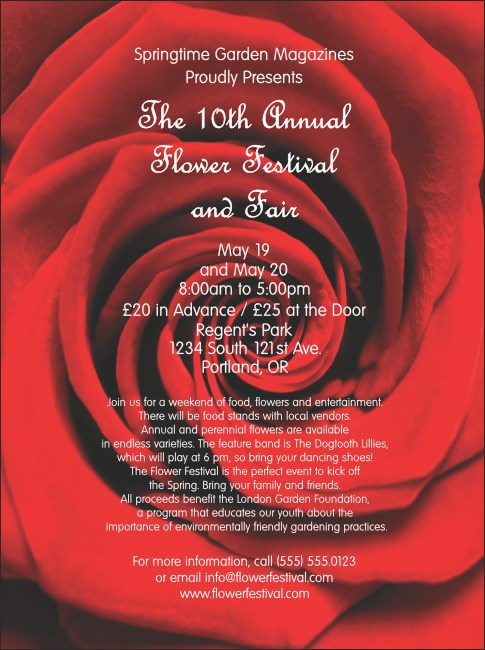 This flyer is sure to turn up the love with its vivid background and is great for many types of events, including prom, dance, Valentine's Day, Spring, performing arts, music, and more. Let TicketPrinting.com take care of all your lovely printing needs!